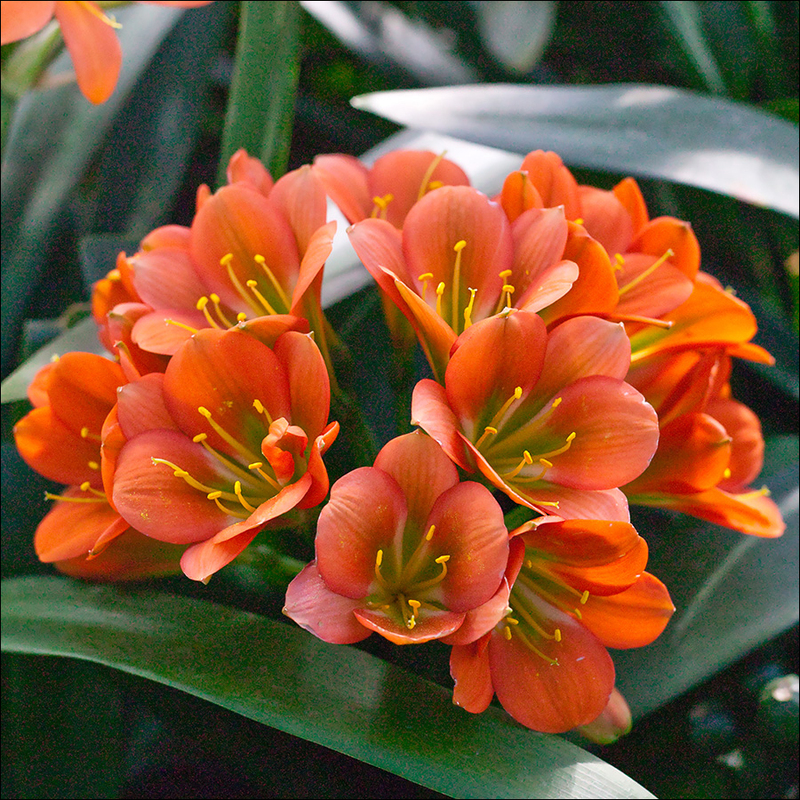 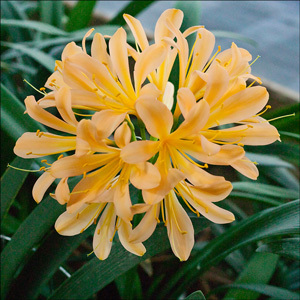 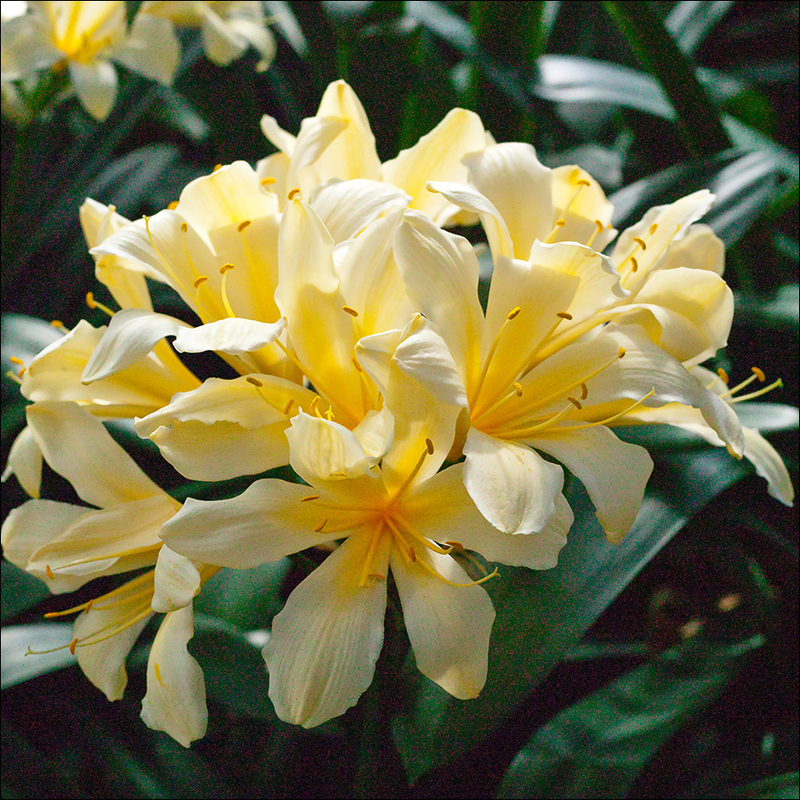 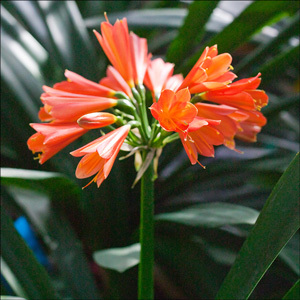 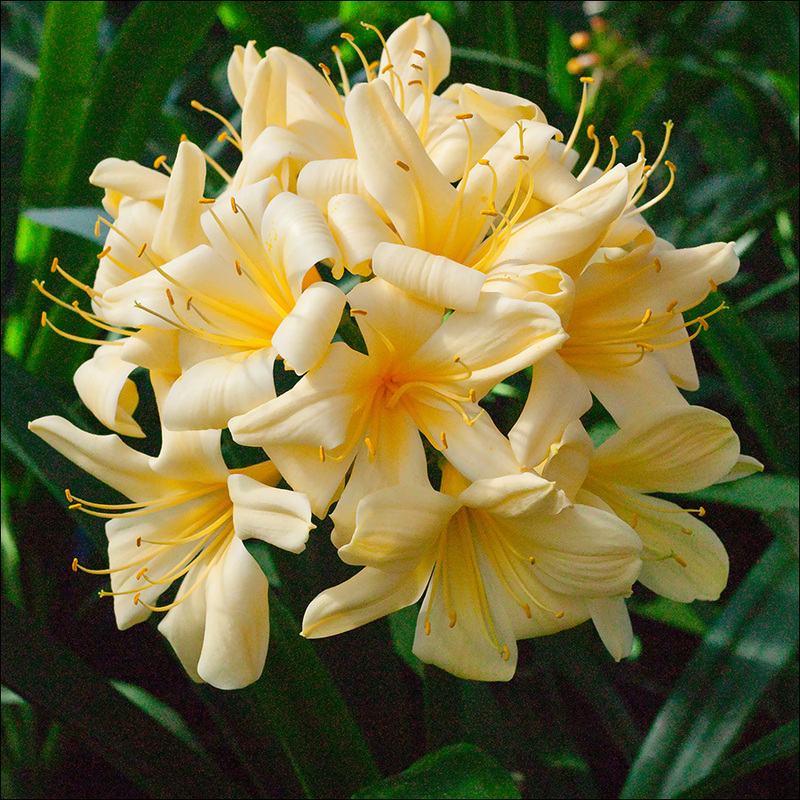 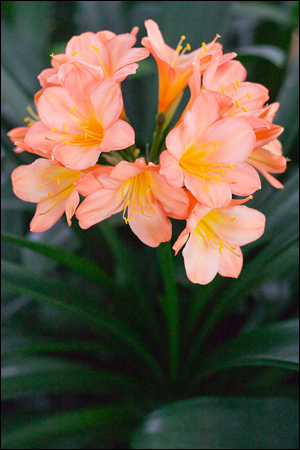 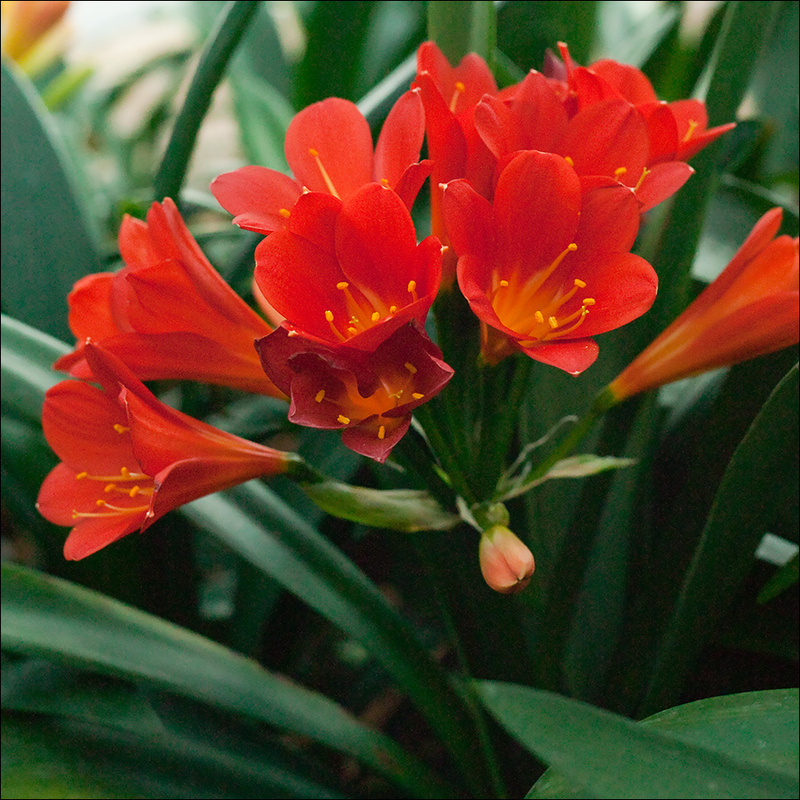 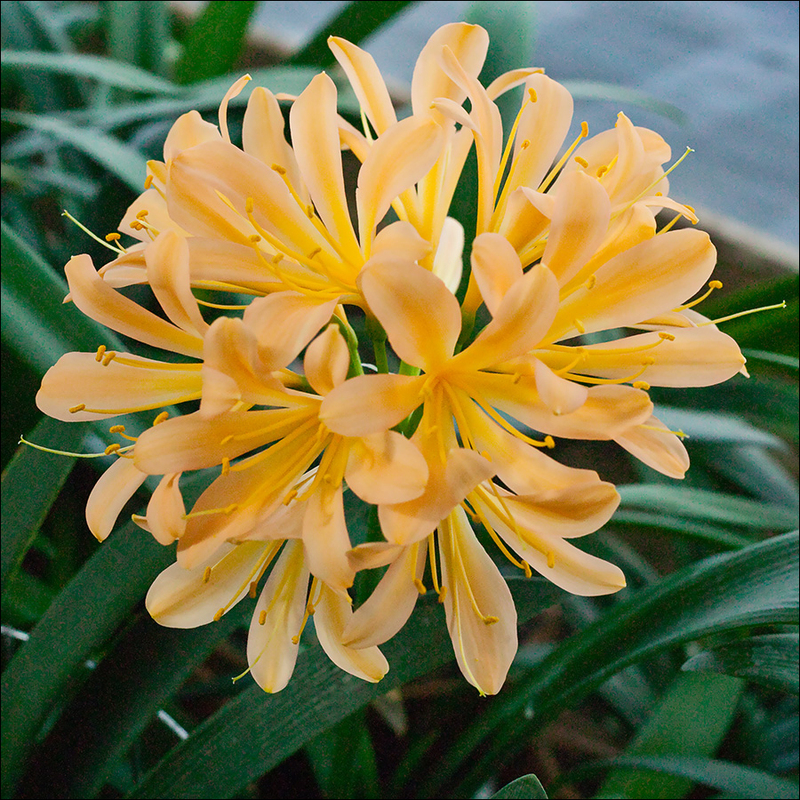 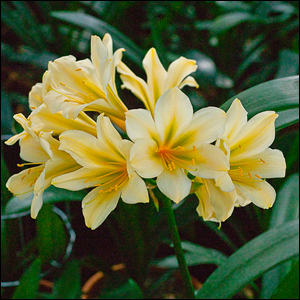 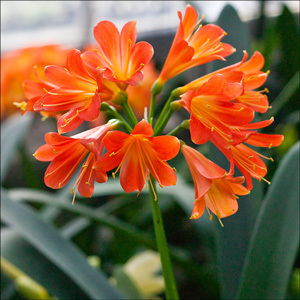 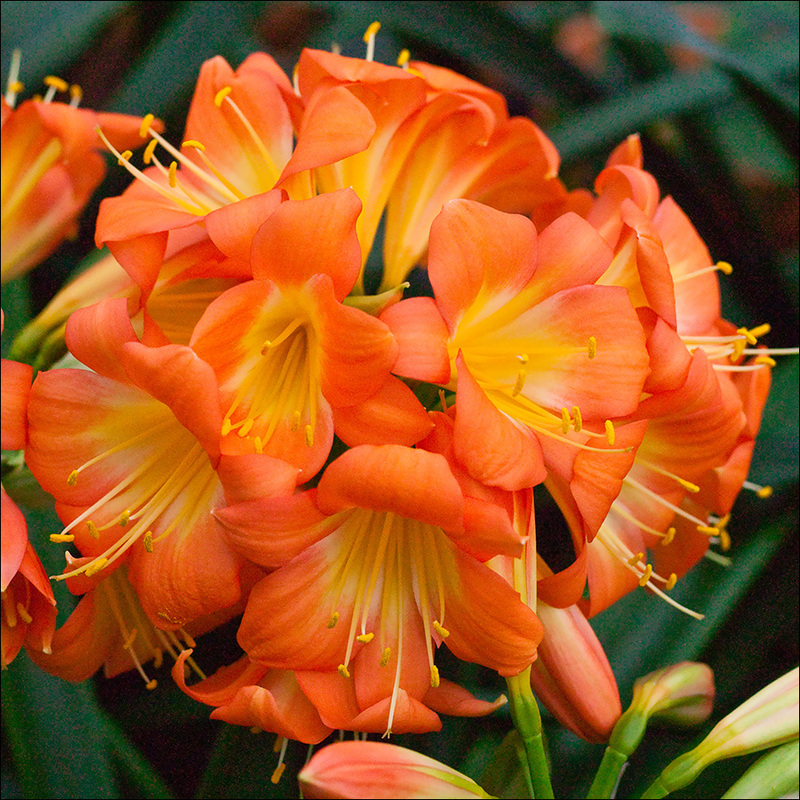 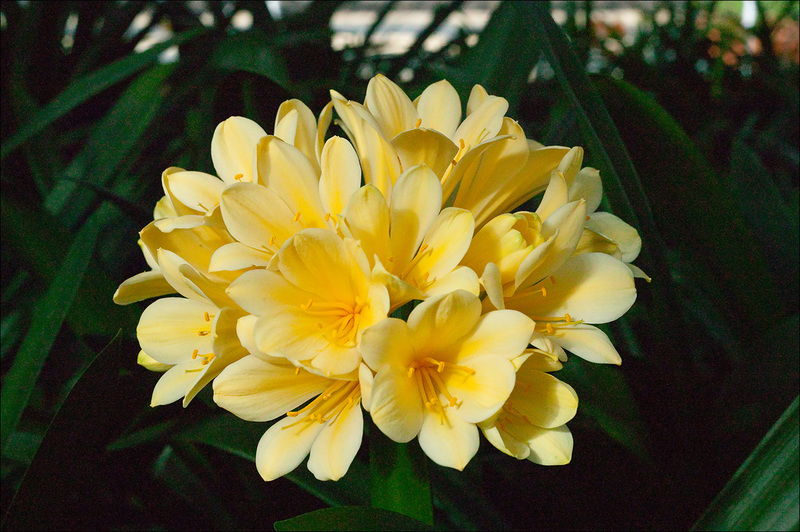 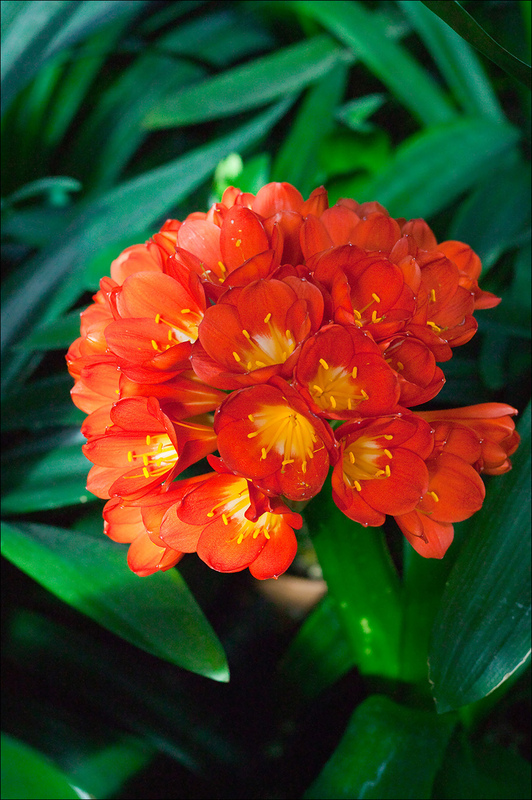 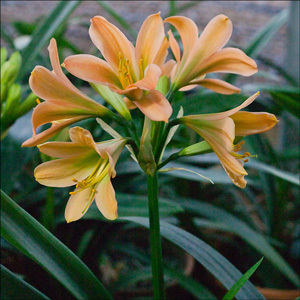 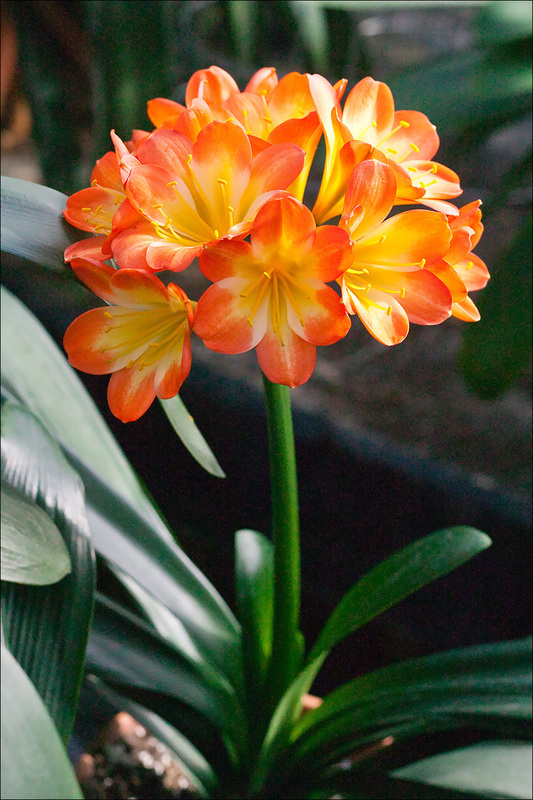 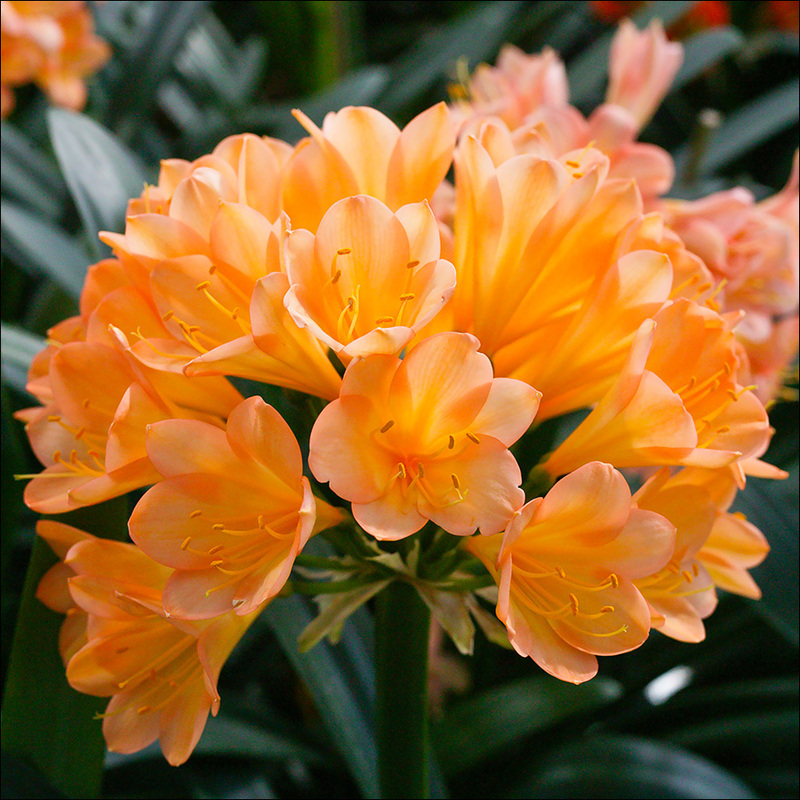 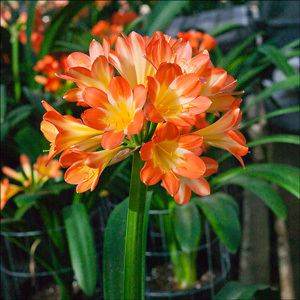 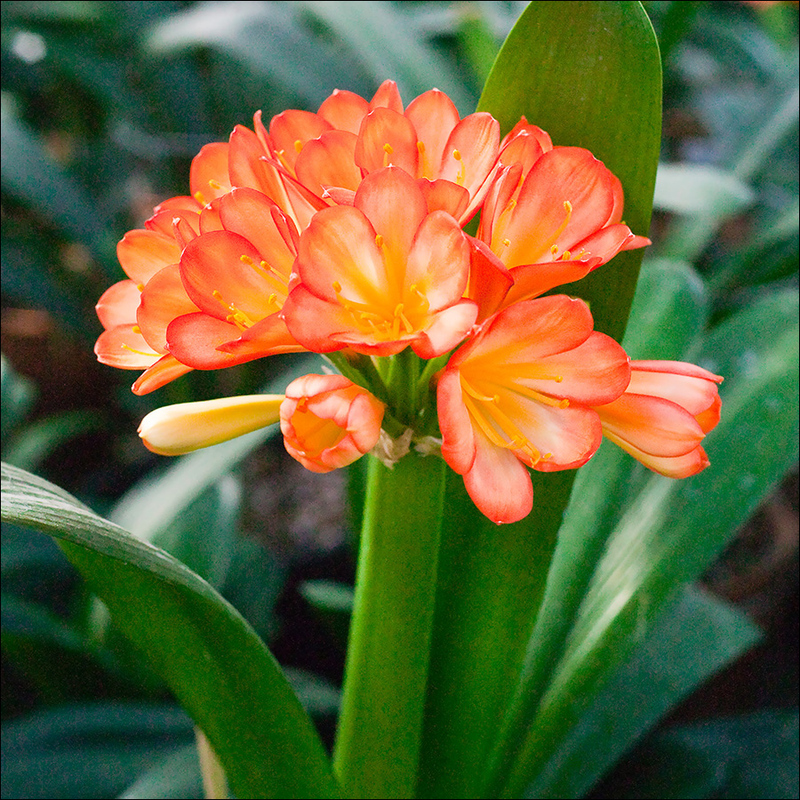 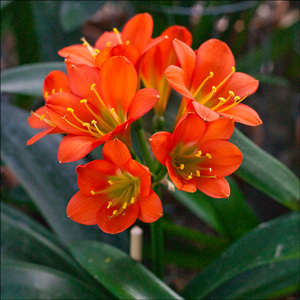 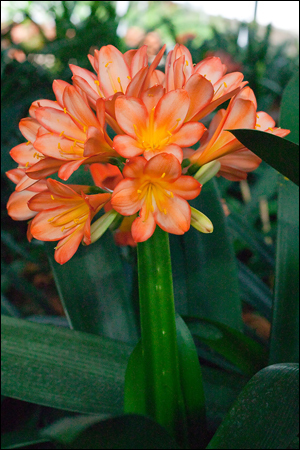 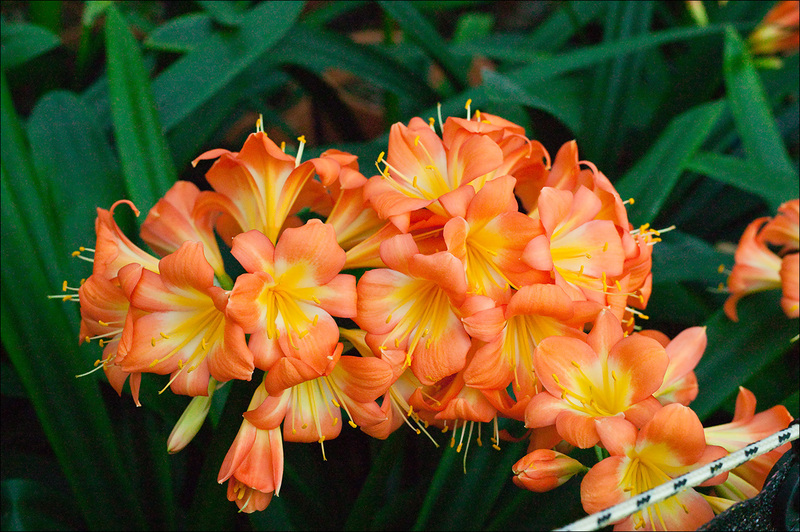 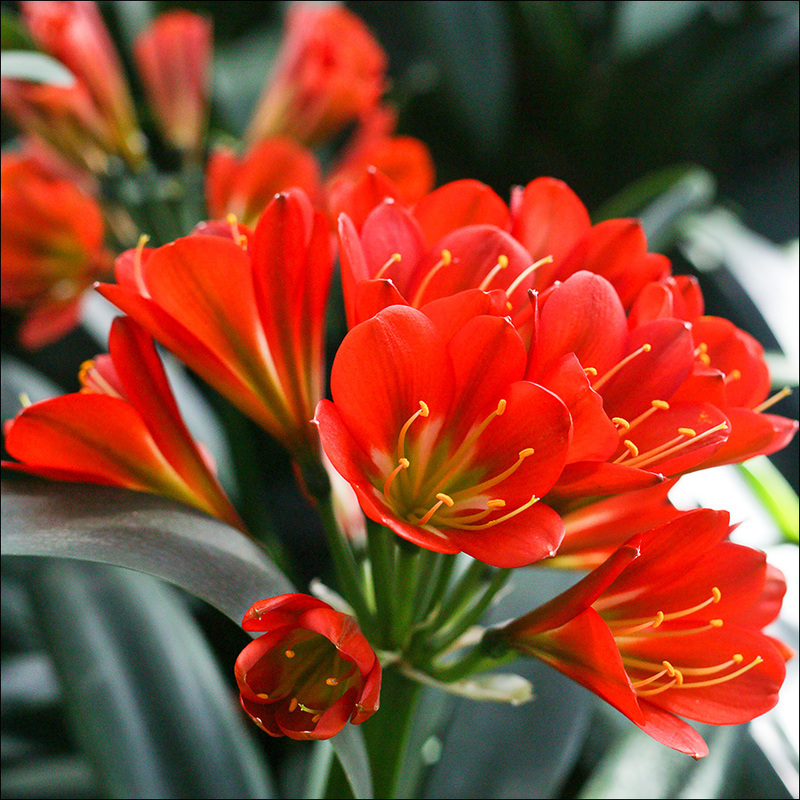 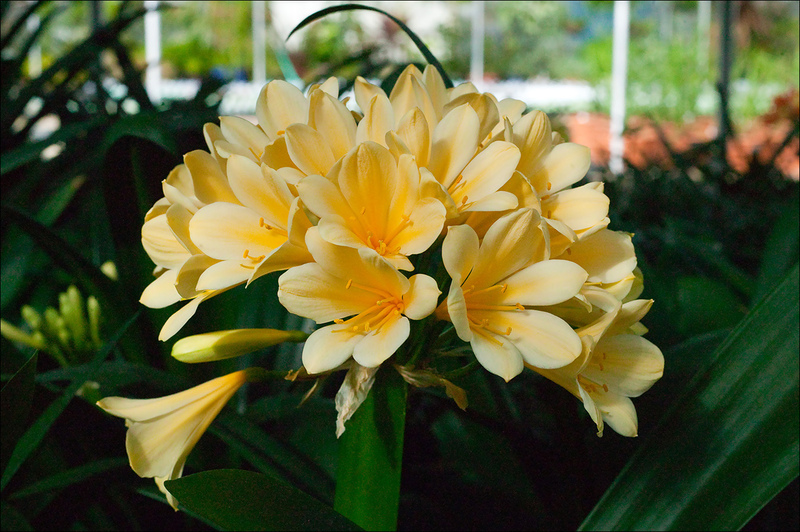 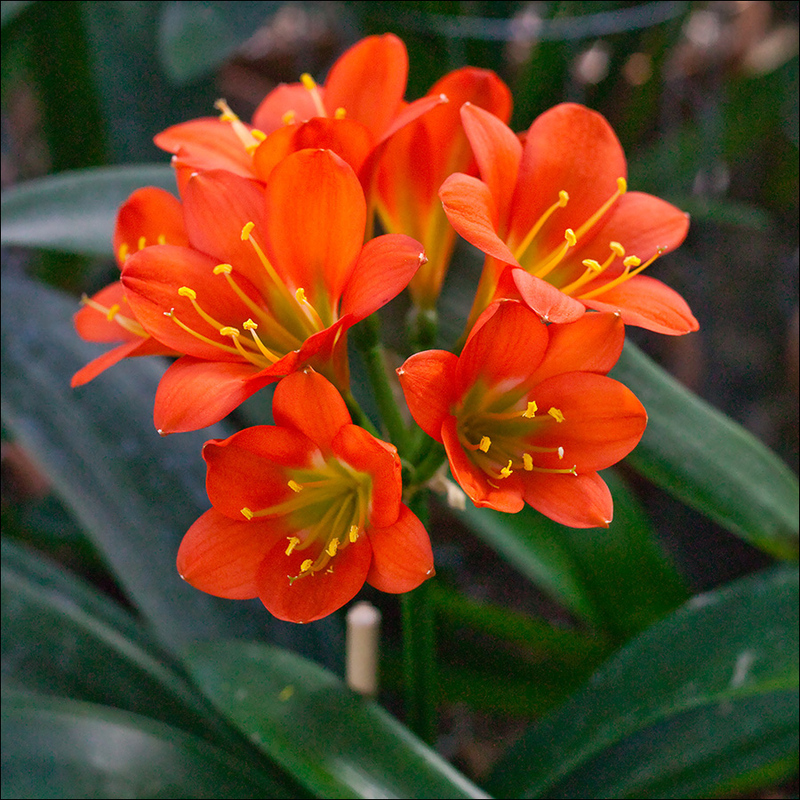 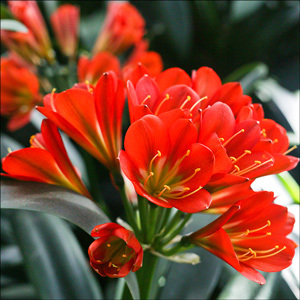 During the spring of 2014, Colorado Clivia Company's collection of Clivia miniata and Interspecifics were in bloom. 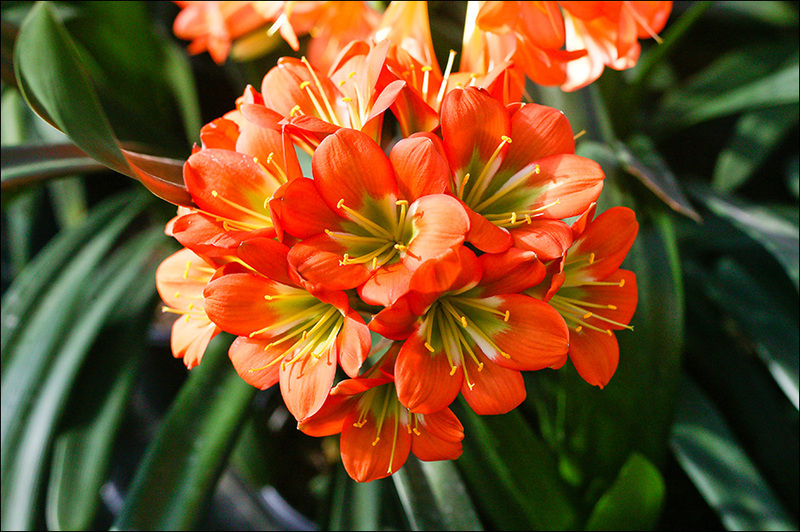 Peak blooming, as in the past, was about March 1st. Presented below and to the right are some of the best photographs for this season. 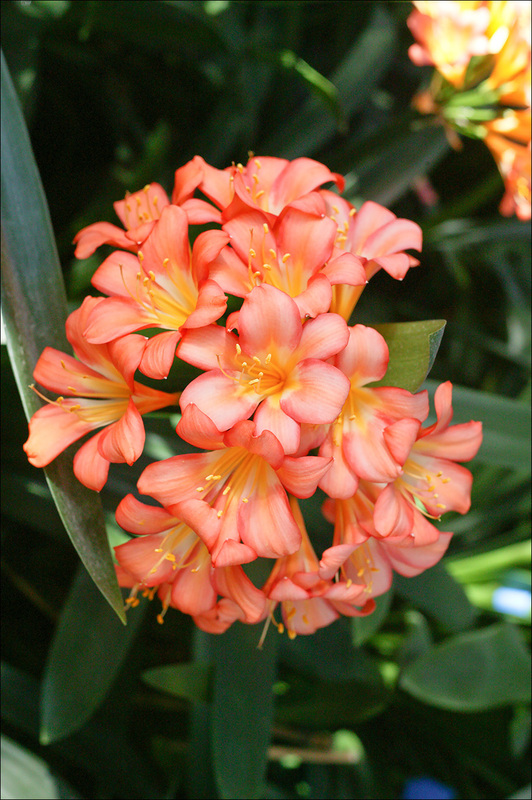 Several are of the same plant, showing different views, color and blossom changes over time, or other aspects of the collection. 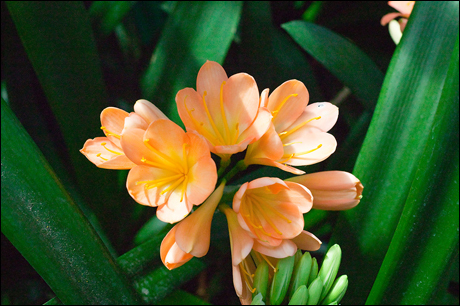 The photographs are presented for the enjoyment of our visitors.